Good web design is about looking good and standing out from all the other businesses selling what you sell, but it’s also about so much more. It’s about making life easy for your customers, increasing their emotional attachment to your brand, and demonstrating that you are a professional company with a solid reputation, not a fly-by-night operator. Rightly or wrongly, people do judge by appearances – and they form that judgement quickly. Here are some ways to increase the chance that their judgement reflects well on your business. If your site is well-designed and functional, it encourages users to think that your products or your services will be well-designed and functional, too. It’s especially important for businesses that provide professional services to look professional, of course – your local funeral director may be cool and funky in their private life, but that probably shouldn’t be the impression created by their business website. Conversely, there may be such a thing as looking too professional – if you’re the surfboard retailer across the street from the local funeral director, you probably don’t want to base your website on the funeral director’s website, even if the pair of you spend the weekends surfing together. That’s because, while your web design should make your company look professional, it should also embody your brand. Maybe you already have an overall set of brand guidelines which specify how elements of your brand should be displayed and organised on your website. But if you don’t, have you done any thinking about how customers perceive your company? You might view your company as cutting-edge, innovative and fresh, but is that how they see it? Your brand should reflect how you want to be seen – but it won’t work unless you can back that up by delivering what your customers need from you. And in turn, your website should embody your brand and communicate clearly and simply to customers what your organisation is all about. Unless your website sells or provides something so unusual that you have no competition, the chances are that there are a whole lot of businesses selling what you sell. After carrying out search engine optimisation, what can you do to stand out? The challenge is that you need to stand out, but not too far. Users expect that certain types of sites will work in a predictable way. 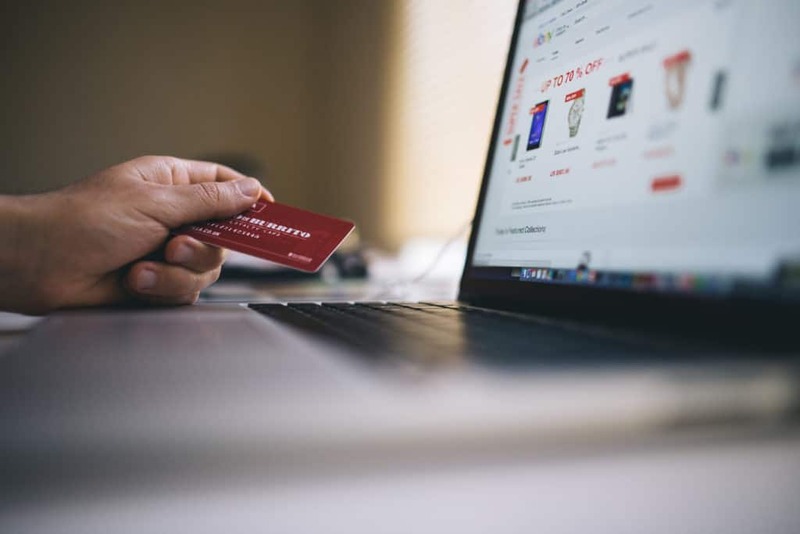 For example, you may think you have come up with a radically new type of online shopping cart, but your users are likely to be confused by how much it differs from the shopping carts they’re familiar with. Good design is where you can get the edge in distinctiveness. A distinctive site that embodies your brand also needs to be consistent – in other words, whichever page of your site users go to, they need to be confident that they are in fact still on your site. That sounds easy to achieve, but it’s surprising how many sites don’t maintain a consistent look and feel, or consistent web content guidelines, across the entire site. In the worst case, if users link to a page within your site that looks very different from the page they first landed on, they may think they’ve gone to a different site altogether. Providing a consistent user experience within a site helps increase your users’ comfort and familiarity with the site – and that encourages them to become a repeat customer. Maybe selling flowers online or arranging bike tours is your life – well, the life of your business, anyway. Or maybe you know everything about how the local authority you work for handles hazardous waste spills. You know all the lingo, have memorised all the acronyms, live and breathe the terms & conditions. Because, doesn’t everyone? Well, no. Unless you have a narrow group of specialist users – which might be the case if you’re a professional organisation – then it’s highly likely that your users don’t know what many of the terms on your website mean. And if you make your users wade through a lot of unusual terms before they can take any action, they’re probably going to phone you instead, or give up altogether. Make the core content of your site prominently visible and easy to understand. If you do need the difficult and obscure stuff as part of your site, provide clearly labelled links to it, and make sure acronyms are spelled out in full the first time they’re used – like this: user experience (UX) design. Your content is clear, consistent, current, accurate and readable. Congratulations! But can anyone actually find that content? Searchability: How searchable is your content? Is it search engine optimised, so that it ranks highly on Google and appears on the first page of search results for relevant search terms? Do your page title, headings and content work well together to maximise your search rankings? Navigability: How easily can users find their way around your site? Have you made good use of such tools as breadcrumbs, menus and footers to enhance navigability? Make sure the design of your site pays attention to these factors! All that clarity and navigability needs to be in the service of something. What do users come to your site to do, and does your site make it easy for them to do it? Some of your users are going to arrive at your site knowing exactly what they want to do. The key for these users is a clear Call To Action (CTA) that is presented to them as soon as possible after they reach your site. Why make them wait? Put that big blue button (or whatever form the CTA takes) front and centre on your home page. Other users will be taking a bit of time to look around your site before they make up their minds whether or not to proceed. It doesn’t do any harm to let these users see the CTA early, but you have to back that up by providing the information and options they need to turn them from casual visitors to buyers or clients. What makes a site attractive? Well-chosen images are key, but simply crowding your site with photos of good-looking people, or even good-looking places, doesn’t necessarily attract the actual users you want. How much do you know about your desired audience, and what those people are really interested in? Will they respond to kittens and unicorns, or do they prefer gothic and gritty? Your site’s imagery needs to reflect what your audience wants to see. If possible, avoid using stock footage – all those photos of Americans with beautifully even teeth smiling at each other around a whiteboard. If your main market is the US, you may be able to get away with this – otherwise, take a little more time and trouble to source relevant images, or ask your designer to come up with a range of images for you to choose from. An engaging site or app is one that has a personality that resonates with your audience, encouraging them to engage with the site – look at more pages, do more stuff, return to it more often. Often, those most engaging sites are those that communicate a distinct personality. For this to work, all the aspects of your site – the visual design, structure, typography and content – need to work together. But take care – developing a winning personality is a tricky business, as the sad case of Clippy makes clear. Clippy was a talking paper clip that Microsoft introduced in Microsoft Office 97, popping up in users’ documents to make ‘helpful’ remarks such as “It looks like you’re writing a letter”. Clippy was so unpopular that even Microsoft soon gave up on him. Clippy is a prime example of what happens when attempts to be engaging backfire. What’s more, research showed that Clippy was disliked more by women than by men – so, when trying to be engaging, you need to recognise that what one gender or culture finds engaging, another may find offensive. Do your research, or hire the experts to do it for you! What reward will the user get from your site? Rewards can be tangible – like being able to get a discount by entering a discount code for an online purchase – or intangible, like the satisfaction of an online task well done, or a sense of enjoyment from using your site, or feeling good about an act of generosity your site has made possible/easier for them to do. Does your site offer one or more of these rewards to its users? In particular, if you are using your site to collect users’ personal details so you can enhance your email marketing, what’s in it for those users? There’s a clear business benefit to you from acquiring these details, but what benefit does a user of your site get from providing them? Determining the right type and level of reward requires careful thought and a good understanding of your users.